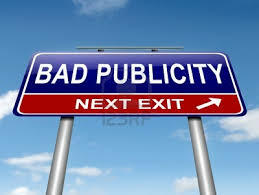 In this month’s Web Marketing Today column, Pros and Cons of Online Publicity for Lawyers, I write about the issues that struck me coming out of Perez v. Factory Direct of Secaucus, LLC. There is a significant difference in determining the impact of media attention on a case in the “traditional media” days versus the “blog/social media” era. That is the lesson defendants’ counsel for Ashley Furniture learned when filing suit against the plaintiffs’ law firm for defamation–stemming from online publicity. My article breaks down the impact and pros/cons that all parties involved–plaintiff, defendant, and counsel for both sides–in measuring how the World Wide Web might affect not only the outcome of a case, but the long-term consequences that can be far more detrimental than whether you won, lost or settled. As I note, I would never have heard about what I’d suggest is a relatively common “employee lawsuit against an employer for wrongful termination”-type filing if not for the third party action taken by one law firm against the other for what amounts to unwanted publicity on the case. If they thought there was unwanted publicity before, man, talk about massive unwanted publicity now. Lots and lots of media coverage about the case–all stemming from the subsequent suit. Long after the actual case is resolved–and I might never remember to go find the actual outcome in the end–the Ashley Furniture case will live on. You have to believe they’d like to put that genie back in the bottle. These considerations go far beyond employment law, although that is the example in this instance. It is something that simply did not exist 10-15 years ago. Attorneys need to stay on top of the changing “public perception” landscape when evaluating when and where to take those cases outside of the courtroom.